Home > How to > What is TutuApp? TutuApp is an alternative to Cydia that has complete source management built in. Users can choose from a number of different packages already available and download them directly to their iOS devices. TutuApp users also get the ability to manage packages they already have installed and update them when needed. TutuApp is open source; it is Completely Free and is fully compatible with all iOS 7 and above devices. The only downside to Tutu App is that, although it is being touted as an alternative to Cydia, it can’t replace it, nor can it replace Substrate simply because there are certain packages that rely on Substrate to work. Tutu App doesn’t have Substrate compatibility but it will work perfectly well for those packages that don’t need it, mostly those that are already built-in to it in the same way that Cydia comes with several repositories already available. It has plenty of apps and games to choose from, including some of the best Cydia tweaks, modified apps and that all-important paid content for free. That is a good question and the answer appears to lie in the fact that Cydia has not seen an update for iOS 10 or iOS 12. The TutuApp Dev Team (twitter) took the decision to rebuild Tutu App from the ground up. The original Tutu App is very much outdated now with old-school graphics and user interface whereas Tutu App is now more than ready and capable to take on today’s jailbreak world. Downloading Tutu App is pretty easy and there are a few ways to do it. It is also worth noting that it has been made available for Android devices too, so they can get a taste of what it’s all about. 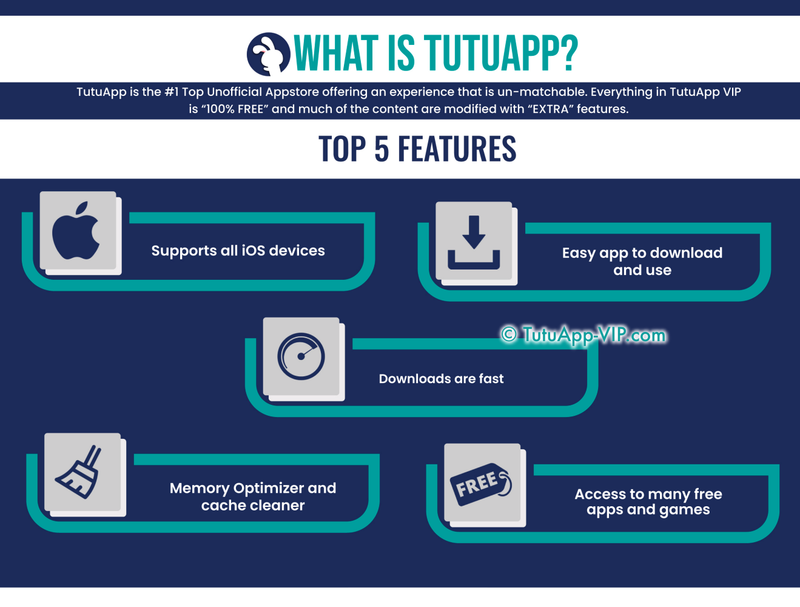 The links below show you how to download TutuApp and how to delete it should you need to. More and more of these Cydia alternatives are becoming available now that Cydia is not being updated. And, while they are never going to be direct replacements, they can fill in some gaps in the short-term. If you follow us on Facebook, we’ll bring you all the latest app updates and jailbreak news as it happens. Thank you TutuVIP Team for this awesome app . I love this app so much. I’ve reinstalled the tutuapp application due to ID blocking, is it normal with vip ? I’m not able to recall my password and I would like some help please. My username is “****” and my UID is 442631. I paid for the vip membership the 8th of september 2018 via ***. I’m available if you need any other information that may help identify my account. Thanks a lot for your help and have a great day ! hi, the certificates were revoked by Apple, so we are trying to fix this issue. sorry about this.